In the preceding examples we focused on the estimation of a single parameter, In commercial marketing research. several characteristics not just one. 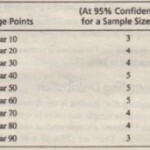 are of interest in any project, The researcher is required to estimate several parameters, not just one, The calculation of sample size in these cases should be based on a consideration of all the parameters that must be estimated, as illustrated in the department store monthly expenses example. Suppose that in addition to the mean household monthly expenses for department store shopping, it was decided to estimate the mean household monthly expense for clothes and for gifts, The sample sizes needed to estimate each of the three mean monthly expenses, 465 for department store shopping, 246 for clothes, and 217 for gifts, If all the three variables were equally important, the most conservative approach would be to select the largest value of = 465 to determine the sample size, This will lead to each variable being estimated at least as precisely as specified. However if the researcher were most concerned with the mean household monthly expense for clothes. a sample size of n =246 could be selected. 2. If the survey were conducted using the sample size determined in question I. would the estimates based on the sample lie Within ± 5% of the true population values? 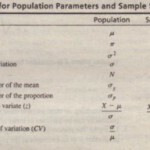 So far, the discussion of sample size determination has been based on the methods of traditional statistical inference and has assumed simple random sampling, Next, we discuss the determination of sample size when other sampling techniques are used. 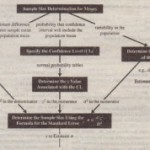 The determination of sample size for other probability sampling techniques is based on the same underlying principles, The researcher must specify the level of precision and the degree of confidence and estimate the sampling distribution of the test statistic, In simple random sampling, cost does not enter directly into the calculation of sample size, However in the case of stratified or cluster sampling, cost has an important influence The cost per observation varies by strata or cluster and the researcher needs some initial estimates of these costs, In addition, the researcher must take into account within-strata variability or within- and between-cluster variability, Once the overall sample size is determined, the sample is apportioned among strata or clusters, This increases the complexity of the sample size formulas, The interested reader is referred to standard works on sampling theory for more information.” In general, to provide the same reliability as simple random sampling, sample sizes are the same for systematic sampling, smaller for stratified sampling, and larger for cluster sampling.